This year’s 19 award winners were selected from applicants across the state and represent a wide variety of business sectors. These businesses took a number of different actions to save money and improve their internal operations while reducing their greenhouse gas emissions. Some of the steps they took included installing light emitting diode (LED) lights, solar panels, wind turbines, and energy efficient equipment; using recycled/reused/repurposed products; composting food waste and plant material; purchasing or using hybrid, electric, or biofuel vehicles; starting or enhancing recycling and water conservation programs. Our winners promote sustainability and environmental stewardship through their participation in community events, distribution of green tips or articles in their newsletters, speaking at conferences, teaching a course, using social media, and engaging their employees. Luxury Auto Body offers full service collision repair throughout San Diego County. The business has taken a proactive approach in the areas of compliance and conservation. At Luxury Auto Body, several methods have been implemented to conserve water and reduce monthly energy demand through consulting with SDG&E's Commercial Customer Energy Specialist. The company installed a vehicle wash mat wastewater collection and recycling system to conserve water. Proactively addressing drought conditions, turf irrigation was shut off and rainwater collection barrels were put in place for use on drought-tolerant plants and vehicle paint preparation. The total investment cost of water conservation equipment was approximately $4,000 which has resulted in a 30% decrease in water usage, saving the shop $1,050 per year. Beyond its water conservation efforts, Luxury Auto Body installed skylight windows in the shop repair area to reduce the use of overhead lighting during daylight operations, allowing the business to save over $900 a year. A new energy-efficient spray booth was installed to further reduce energy costs. The use of cleaners and solvents with low amounts of volatile organic compounds (VOCs) was approved by the local Air Pollution Control District (APCD). Luxury Auto Body also recycles paint waste containers through Pacific Resource Recovery Services, making for a more cost-efficient paint process. Luxury Auto Body has reduced the need to travel between locations by incorporating web video conferencing into its business operations. The web conferencing equipment has saved the company just under $1,000 in annual fuel costs. Luxury Auto Body continues to look for areas to improve its processes and protect the environment. The company has recently partnered with the local APCD to assist with the production of training videos for use on the county website as well as for classroom training. The APCD has utilized the facility and staff to demonstrate proper methods and compliance requirements in order to educate other small businesses in the San Diego area. Surplus Service is an upcycling business providing an efficient, simple and secure way to dispose of excess inventory and items no longer needed while avoiding unnecessarily adding to the landfill. Surplus Service has implemented many green initiatives within its standard operating procedures to reduce greenhouse gas emissions. Over 85% of the electronics that come into the facility are repaired, reused or re-marketed and the other 15% are recycled, leaving nothing to deposit in the landfill. It is estimated by Stopwaste that the company has removed tens of millions of pounds of hazardous waste from the environment and thousands of pounds of carbon emissions. In the past year, Surplus Service saved 24,849 kWh of energy, 27,590 gallons of water, and 5,177 pounds of CO2. The business reuses boxes, packing materials, and other items whenever possible. When products are sent to customers, flyers are included with the package, informing them that the box and packing supplies are reused, and asking them to reuse or recycle as well. Shipping cartons must contain a 30% or higher recycle content, shredded paper is used as a padding material for packaging, and wood pallets, pallet boxes, and containers are reused and recycled. They developed a partnership with United Parcel Service to reuse boxes. And they use OneDrive to share documents electronically and use whiteboards instead of paper whenever possible. Significant waste reduction measures have resulted in thec company going from using a small dumpster to a single garbage can for weekly refuse pick up. Surplus Service purchased their building because of its close proximity to transit. New employees are given transit information and pickups are arranged at Bay Area Rapid Transit stations. Company vehicles use clean diesel instead of gas. All office equipment and furniture in the facility are reused, and they have reduced the amount of waste they generate. It is Surplus Service’s team policy to use natural lighting while working in the building rather than turning on fixture lighting. Indoor lighting is rarely used (motion sensors have been installed) and when needed, they have the ability to turn on only half of the fixtures, which have all been replaced with T8 CFL lighting. New employees are trained in recycling and lighting practices. Surplus Service has been very involved with sustainability education in their community. For the Boy Scouts, they designed and sponsored a threeday Eagle Scout Sustainability Badge, focusing on energy conservation, greenhouse gas reductions, water savings, recycling, and green initiatives. The program was so popular that the Scouts now want to do monthly recycling events! They also mentor students at local colleges, work with community leaders, offer internships, and participate in green events. The Federal Small Business Administration's (SBA’s) Small Business Development Centers (SBDCs) filmed Surplus Service’s green efforts to promote sustainability programs and highlighted the use of SBDC’s resources. The video is being used by the SBA on SBDC websites and other public relations forums to help educate other businesses and organizations. Wolff Vineyards has been on the forefront of sustainability in the wine and grape business for over 10 years. They truly capture environmental sustainability in every bottle they make. Some of their major initiatives have resulted in significant water and energy savings. This includes dry farming 50 acres of the 125 acre vineyard and installing electronic soil moisture sensors and drip irrigation systems. Additionally, a variable speed drive installed at the main irrigation pump reduced energy usage by 40%, maximizing pumping efficiency, delivering the right amount of water needed at the optimum pressure. In the Wolff Vineyard tasting room, an LED lighting conversion resulted in an 80% energy usage reduction; an air cooling economizer system for the barrel room led to 25% energy savings. Their vineyard demonstrates ways to incorporate environmental stewardship into its landscape and is a role model for other vineyards. A combination of electronic soil moisture sensors, extensive drainage system, and graded slopes in the vineyard capture surface water runoff that is redirected to the lower vineyard. Buffer strips of native grass are planted on topsoil between vine rows to further contain water, prevent erosion, provide carbon sequestration, and later harvested and recycled as compost. Biodiesel is used in the small motorized equipment such as ATVs, mule trucks, and tractors. High efficiency fluorescent lights and LEDs, dimmable fixtures, and motion sensor lighting have been installed in and around the winery, tasting room, and restroom. Wine bottles are made of lightweight glass and corks are made of grounded natural cork, reducing fuel consumption and manufacturing waste, respectively. The tasting room has a temperature-controlled high-efficiency AC system, glazed double-pane windows, and a high-efficiency dishwasher with a storage tank that collects grey water for the next load first cycle rough wash. The outdoor tasting room area includes low impact permeable pavement and the main vineyard roads are made of recycled asphalt from a local city road repaving project. A creek segment that cuts across their property is a part of a long-term State and federal demonstration project to enhance steelhead trout habitat. Integrated pest management (IPM) techniques, such as beneficial insects release and pheromone cards, are applied to reduce pesticide use. The efforts of Wolff Vineyards are numerous and are based on three principles: Environmental Sustainability, Social Equity and Economic Sustainability. Their staff has been trained to explain to customers their various ecological and sustainability initiatives and they proudly publicize their efforts to guests with signs throughout the facility. They host many tours, field trips, and classes at the vineyard including those for local colleges and universities such as Hancock College, Cuesta College, and Cal Poly San Luis Obispo. Topics include environmental science, sustainable winegrape growing, climate adaptation, and water onservation. They participate in a local teacher’s sustainability program called “Science After Dark.” The owner is also an Executive Board member of the Cal Poly Center for Sustainability and is a leader in his community. Affirmative Wealth Management offers planning and fiduciary investment management, specializing in environmental sustainability, stewardship, and impact investing for clients who want to align their investmentswith their values and help make a difference. To help showcase energy efficiency, greenhouse gas emission reductions, and cost effectiveness, Affirmative Wealth Management bought a commercial building and did a complete renovation of the property. They installed energy-efficient windows, upgraded the electrical system, made use of natural lighting, added attic insulation, put window film on west-facing windows to reduce heat, caulked for insulation, installed rooftop solar, and bought an EVcharger for their Nissan Leaf. They also refinished the natural wood floors, re-sourced wool oriental carpets and furniture for the office, replaced lights with energy-efficient compact fluorescent lamps (CFL), switched gas hot water heat to on-demand electric heat, purchased an ENERGY STAR computer and printer, and used low VOC paint in the interior. 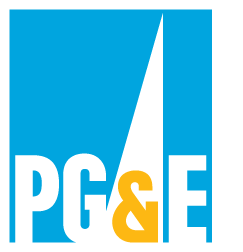 Their cost savings have been so great that their last PG&E bill was 83 cents and they received $300 in credits from their local utility provider, Marin Clean Energy. Affirmative Wealth Management is proud to be a certified Bay Area Green Business and knows their actions will continue to reduce their carbon footprint and costs into the future. Aussie Pet Mobile Sonoma County is an environmentally innovative business that provides mobile grooming services for all breeds of cats and dogs. By coming to the customer, they reduce the number of vehicle trips pet owners take to drop off and pick up pets from stationary grooming sites. Their one-on-one service is provided in a self-contained vehicle that utilizes a rooftop mounted solar panel for generating salon power needs and the van runs on a Mercedes-Benz BlueTEC four cylinder diesel engine. At their office space, they recently installed low-flow aerators in bathrooms, conducted indoor audits to detect leaks, replaced MR-16 halogen lamps with LED models, replaced incandescent bulbs with LED models, switched to environmentally friendly cleaning products, and adopted an Environmental Policy Statement. Additionally, they use biodegradable grooming products and recycle 100% of the used grooming water in their landscape. In 2015, they completed an audit of their actions and found that their annual savings were 3,770 KWh, 3,410 gallons of water, and 2,429 pounds of CO2. In the spirit of continual improvement, they have an Environmental Policy Statement and Employee Education program in place and constantly look to their employees, suppliers, and customers for ways to become more sustainable. Aussie Pet Mobile Sonoma County is a certified Sonoma County Green Business, a member of the Joint District Spare the Air Program, and partners with the Santa Rosa Junior College Foundation. As a solar installer in both the residential and commercial sectors, it is in Clean Solar’s nature to lower energy costs by reducing GHG emissions. However, as they have lowered clients' GHG emissions, they have also taken significant actions to reduce their own. At Clean Solar, they purchase recycled printer paper, toilet paper, paper towels, office supplies, office furniture, and compostable catering supplies. They have a printer dedicated to recycled paper (utilizing both sides of a page before recycling it); they recycle toner cartridges; they have designated bins for recycling paper, cardboard, plastic, glass, metal, and composting; and they use real dishes and utensils instead of throwing away or recycling paper or plastic items. In addition to replacing light bulbs with LEDs, they monitor and record their energy usage and have reduction targets for energy consumption. With Networkfleet software, they monitor their vehicle greenhouse gas emissions and are able to plan trips to use less fuel, reduce emissions, and save money. They have also worked with their landlord to implement energy efficiency improvements. Clean Solar’s green efforts extend beyond the office and into the local community. They have been involved with the Adopt-A-Highway Program for the past seven years, cleaning up a portion of Highway 87. For every installation, they donate $150 to a charity in the name of the customer and, since 2007, have donated more than $200,000 to local charities including many focused on the environment (e.g., The Sierra Club, World Wildlife Fund, 350.org, and The Nature Conservancy). Dental Healing is a general family dentistry that combines a passion for the environment with holistic dental health services. They believe that human health is inextricably interconnected with the health of the planet. Recently, they renovated their office space and installed new HVAC ducting, smart lighting design, R-13 insulation, a state of the art and highly efficient on-demand air compressor for dental equipment, Watersense certified plumbing fixtures, a waterless dental vacuum and an ENERGY STAR exhaust fan to reduce their energy usage and conserve water. They also used no VOC paints, mill work, adhesives, chalks, glues, and sealants, along with Green Seal certified cleaning products. Other sustainable features incorporated into the office are bamboo flooring, natural lighting, LEED compliant office cabinets, reconstituted coconut shell flooring, and re-purposed furniture. To reduce paper waste, they purchase the highest possible recycled content in all paper products, have a paperless filing computer system, have implemented an office recycling program, and formed a Green Team. The building management is using Dental Healing’s renovation project to promote sustainability and secure additional likeminded businesses as tenants. Health, efficiency, and conservation are top priorities at Dental Healing. Elevated Fitness is a high altitude, human-powered fitness facility focusing on dynamic, scientific workouts based on solid, proven research. Elevated Fitness is America's only truly carbon-neutral gym, producing more power than they use. The company purchased an electric vehicle for both owners to commute to and from the gym and for all in-town gym errands and marketing events. The vehicle is charged with converted electricity from human energy produced in gym generators on spin bikes. The power output of their group spin class is currently three megawatts per class! This has reduced fuel usage by approximately 40 gallons per month. They replaced all fluorescent light bulbs with direct-connect LED T8 bulbs, installed a water bottle filling station, eliminated the use of paper towels, and use ENERGY STAR appliances and computers. To reduce water usage, Elevated Fitness installed auto-off, water saver faucets, a waterless urinal, and the lowest flow toilets in their restrooms. The gym floor is made from recycled rubber tires and the main pieces of gym equipment were madefrom recycled steel. Low-VOC paint and recycled materials were used throughout the remodeling process. Because there is no electric-powered equipment in the gym (e.g., elliptical machines, treadmills, etc. ), Elevated Fitness is able to keep its energy use and carbon footprint very low. They encourage members to walk or jog to the gym to reduce fuel usage and have integrated carbon-free transportation into their membership perks program. Their mission statement contains the policies of “Be a Good Egg”and “Leave it Better Than You Found It.”. Global Gourmet was Northern California’s first San Francisco Green Business certified full-service catering company. In addition to offering seasonal, sustainably farmed organic cuisine sourced primarily from the Bay Area, Global Gourmet also incorporates environmentally friendly practices in their day-to-day operations. They recycle and compost in their kitchen, office, and at every event in which they are involved, purchase environmentally friendly products, and donate leftover vegetables to be repurposed into biodiesel. Their facility has been retrofitted with Eco-Smart Lights, their refrigerator/freezer entries have been upgraded for maximum efficiency, and water fixtures have been fitted with low-flow aerators or replaced with current water conservation models. In response to California’s drought and other global climate change issues, they have launched a new Drought Watch Program that includes creating drought-friendly menus, helping to fund carbon offset and water restoration projects, and further educating their team and clients regarding water issues and consumption. As of September 2015, all Global Gourmet catering events are designed as water restoration and carbon balanced programs, a first in the United States for a catering and event company. The Granlibakken Resort, which includes a conference center, ski area, hotel, banquet facility, and restaurant, covers 74 wooded acres in a scenic mountain valley. Granlibakken has worked to preserve the area’s natural environment through waste stream reduction, energy conservation, and water conservation. The company maintains separate bins for beverage bottles and cans, paper, cardboard, batteries and fluorescent light bulbs. Granlibakken continues to update lighting and appliances with more efficient systems, replacing over a thousand T12 and incandescent bulbs with T8 and compact fluorescent bulbs. They have replaced the conference center HVAC system, installed new refrigeration systems for walk-in freezers and coolers, and installed Intelli-Hood kitchen hood systems and controls to reduce energy usage. They implemented a water conservation program that has reduced their water consumption by 40%. Most recently, they started a program to replace thermostats on gas fireplaces with timers. The resort also makes an effort to decrease the number of vehicles on the road by utilizing the North Lake Tahoe Airport Shuttle service to transport guests to and from the airport. In the winter months, skiers can take free shuttles from Granlibakken to Alpine Meadows, Squaw Valley and Homewood Mountain Resort. Granlibakken has continued to be an active participant in forest management with a fully approved Tahoe Regional Planning Agency/Fire Department forest management plan that has reduced the risk of wildfire on the their land. The process is now used as a model by the North Tahoe Fire Protection District. Incredible Adventures is an eco-friendly outdoor travel company that specializes in small group biodiesel tours from San Francisco to Yosemite National Park, Muir Woods, and the Wine Country, as well as sightseeing and adventure tours from Las Vegas. They offer travelers a safe and reliable way to connect with nature! Since 2002, their passenger mini-coaches have run solely on biodiesel, a cleaner-burning and locally produced fuel made from recycled cooking oil. The company moved to a new office in 2014 and took actions through 2015 to reduce greenhouse gas emissions from their operations. They replaced the outdated T12 lights with T8s, installed low-flow plumbing fixtures in their restrooms, installed shutdown settings on their computers and heating/cooling systems, and adopted a Green Purchasing Policy. In their office, they use ENERGY STAR laptops and monitors, print brochures and business cards on recycled paper with soy ink, and refill printer cartridges to reduce waste. To reduce the need for plastic water bottles, Incredible Adventures provides drinks at rest stops and encourages guests to bring reusable water bottles to stay hydrated. The office also provides commuter benefits for those who bike to work and use alternative transportation. Incredible Adventures is a part of and works with several environmental groups including the San Francisco Green Business Program, Reverb, California Biodiesel Association, Planeterra Foundation, and Adventure Travel Trade Association. The company attracts about 364 visitors each week from all over the world, making their influence and impact global. Natoma Technologies is an information technology consulting firm and systems integrator that has been certified by the Green Business Bureau. In 2015, Natoma Technologies took an in-depth look at their operations to understand their impact on the environment. As a result, they created a Green Team to engage their employees and track their progress in reducing their carbon footprint. They set purchasing policies such as committing to buy recycled or reused office furniture, ENERGY STAR equipment, remanufactured toner cartridges, and post-consumer paper products. As a company that uses a high number of computers, they set all computers to automatically hibernate and shut off after a certain amount of inactivity. They upgraded a number of older T12 lights to T8/T5 fluorescent lamps, and now over 50% of their light bulbs are energy efficient, with most being motion-activated. Furthermore, to cut down on travel carbon emissions, they utilize video conferencing, have preferred parking for carpools and hybrid vehicles, and offer the ability for employees to work remotely. Natoma Technologies shares their green business practices with clients and various agencies across the state to influence the community and inspire positive change. New Leaf Biofuel partners with local restaurants to produce premium biodiesel from recycled cooking oil, and supplies this renewable fuel throughout the region. As a part of their recent expansion and carbon intensity reduction project, New Leaf Biofuel replaced two old heavy duty trucks with new, higher efficiency 2013 and 2014 vehicles. Both of the trucks include a post 2010 emission control system and run on used biofuel. They also installed a number of energy and water efficiency features in their building, including: jacketed reactors in their processing room, load leveling variable frequency drives (VFDs), high insulation piping for all process heating and cooling lines, water use reduction facility process improvements, and a 2.2 MMBtu natural gas boiler. In addition, they compost at the office, use recycled paper, and installed energy efficient lighting (including motion-activated lighting in the plant). Their actions resulted in a 39% decrease in electricity consumption and a 39% decrease in water use. New Leaf Biofuel is a part of the Clean Cities Coalition, National Biodiesel Board, and California Biodiesel Alliance. They won the SANDEE Award for Excellence in Transportation and the Blue Sky Leadership Award from the San Diego Air Pollution Control District. Nori’s Eco Salon is a full service salon dedicated to green living and promoting wellness for their clients and our planet by creating a toxicfree environment. They provide hair salon services using only non-toxic, biodegradable products, and used no VOC paint on the walls and recycled denim as insulation. The owners of the salon were able to eliminate weekly water delivery by switching to filtered water. Instead of paper cups, water and tea are served in plastic and ceramic cups. Nori’s Eco Salon has been recycling cans, plastics and paper for the last 10 years. They have purchased an ENERGY STAR water heater and low-flush toilet, with a sign in the bathroom encouraging less water usage. To help create ventilation in the work space, they installed a second door, reducing the need for air conditioning. The energy savings have been tremendous. The salon also issues a monthly newsletter that informs clients on current personal care products policies, green practices and relevant ideas to encourage the public to make better choices for themselves and the planet. Nori’s Eco Salon is a certified Los Angeles Green Business and hosts an occasional Green Drinks Event that encourages networking and information sharing among local green businesses. Santa Barbara (SB) Airbus is a transportation company that implemented model green business measures in all areas of their operations. They use a water-conserving electric Eco-Power Brush and biodegradable soap when cleaning buses, and the majority of employees walk, ride the bus, skate, or bike to work. To encourage employees to ride their bikes to work, they provide on-site bike storage and shower and locker facilities. SB Airbus implemented a very successful recycling program for passengers on their buses. They have reduced use of disposable paper products, provide reusable dishware for food and drink consumption, and started a small composting program. They redesigned their Daytrip Calendar from a glossy newsletter to an electronic version. Their energy and water bills are kept low by using LED lighting, motion detectors, low-flow fixtures, drought resistant landscaping, and a hybrid electric water heater. They are currently in the process of installing solar panels on the roof of their maintenance building. All employees are trained on SB Airbus’s sustainable practices and the staff gives tours and lectures about their practices to K-12 and college students. SB Airbus is a certified Santa Barbara County Green Business. The company provides bus transportation to the annual awards ceremony for certified green businesses, and assists businesses in getting certified through the county’s green business program. SB Airbus is a true force of sustainability in the community. SHN Engineers & Geologists, Inc. (SHN) is a California State and federally-certified small business enterprise meeting the engineering and environmental needs of communities in Northern California and Southern Oregon. SHN’s offices were constructed with efficient lighting and heating and use less electricity than average compared to similar buildings. SHN adopted its first Sustainability Report, based on the Global Reporting Initiative’s guidelines for small and medium sized business enterprises. Six of the report’s 19 recommendations have been implemented so far. SHN has replaced wall-to-wall carpeting with waste-conscious 100% recyclable carpet tiles in their Eureka office. Company-wide, SHN has recycling programs for paper, cardboard, plastics, electronics, and batteries. They are in the process of moving documents to digital formats and providing these electronic documents to clients as a substitute to traditional paper copies. This decreases the need for paper, delivery costs and fuel consumption, and space needed for storage. By holding strong sustainability values, SHN attracts and retains like-minded employees, which in turn decreases their training, replacement, and recruitment costs. Related Case Study: Lights, Camera, and Energy Saving Action! ShowPro provides sound, lighting, video, and projection services for small and large live industry events. Because of the high energy demand needed to test bright lights and sound systems, it is not easy for a special events production company to be 100% solar powered - but that is what ShowPro has accomplished. They bought a complete system for $70,000 after receiving federal tax credits and a significant rebate. They are now saving an average of $1,000 per month in electricity costs and will have paid for the system in less than six years. They also installed an electric car charger, powered by the solar panels, and subsidize employee use of electric vehicles. To further reduce their energy usage, they installed energy efficient windows and skylights, replaced all building and parking lot lamps with LED or fluorescent bulbs, and applied a highly reflective white roof sealant to reflect more light to the solar panels. They recycle everything from aluminum cans to steel pipe, collect runoff water for their drought- tolerant plants, and use fans instead of air conditioning to cool the shop. ShowPro also uses LED lighting systems and existing power at their events instead of using a generator. They are known in their industry as "the green guys" because of their commitment to solar power, electric cars, energy efficiency, and LED lighting. The Refill Shoppe is an eco-conscious store offering quality bath, body, home and cleaning liquids in bulk. The owners of The Refill Shoppe believe that reusing is better than recycling, which is why they have gone the extra mile to get as many materials reused as they can. The store saves all cardboard boxes to give to customers for reuse. All packing materials received are given to a local woman with an Internet shipping business. Buckets that bulk items are delivered in are given to a local painter who would otherwise have to buy new ones. Furthermore, they have used recycled and reclaimed materials to decorate throughout the store with creative solutions such as using cardboard boxes to make the signage in the office. The Refill Shoppe uses 100% clean energy in its business operations; every kilowatt of electricity used is now a kilowatt produced and put on the grid by a pollution-free renewable source. They installed CFL and LED lighting, planted drought-resistant plants in front of the shop, provide filtered water in the break room, purchased an ENERGY STAR refrigerator, and provide reusable plates, cups, and bowls for their employees. They changed credit card processors to collect customer signatures and send receipts digitally, use only non-toxic and biodegradable cleaners, and do not use any heating or air conditioning. The very nature of their business makes The Refill Shoppe an ambassador for sustainability.